Today, there’s an inherent need to be connected with a significant amount of technology, power and functionality at our fingertips. But convenience is vital; which is why processing power is getting smaller every minute. Even as you’re reading this post, someone is figuring out how to make it easier for you to interact with this article, irrespective of where you are. There’s no arguing that the smartphone is at the pinnacle of personal technology keeping us updated/ connected to our personal/ professional lives at the touch of a button. Today’s smartphone is no slouch when it comes to computing power, but it’s no replacement for the good old PC. The PC’s problem is portability and although laptops and tablets are getting more versatile, they’re not the best solution because of cost, space and the design for more personal usage. To bridge that gap, be highly convenient in terms of portability and power, and offer users a thorough PC experience for work and play, Azulle’s Access3 provides the optimum solution. Small enough to fit into the palm of your hand and slip right into a clutch purse (with plenty of room for ‘essentials’), the Access3’s HDMI ready, plug and play design is remarkable given its capabilities. In essence, the Access3 is a versatile pocket-PC that can transform a standard TV/ monitor/ projector into a powerful Windows 10 (Pro) device. Whether it’s for entertainment – streaming your favourite content via the web or playing stored files – or showcasing a work presentation in some form or other, the Access3 can do everything your desktop or laptop can do; the only difference is you can unplug it, put it in your pocket and plug it in wherever else you want to/ need to. With 4GB of RAM and an Intel Apollo Lake Processor powering the Windows 10 Pro OS, you’ll want for nothing, especially computing speed. 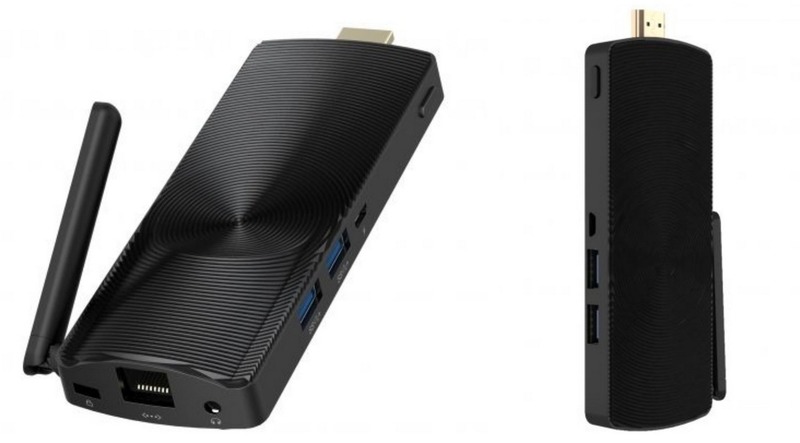 32GB of on-board storage may not seem like much, but the Access3 also features two USB 3.0 ports to connect a portable hard drive and wireless keyboard and mouse or camera for conference calls. The added functionality of a MicroSD card slot further extends the device’s storage giving you ample space for videos, music, presentations and anything else you can think of. Of course, toting around a keyboard and mouse can be cumbersome; there are plenty of smartphone apps that allow you to use your smartphone as a viable alternative. The Access3’s Dual Band Wi-Fi (with adjustable antenna) lets you easily connect to any High-Speed wireless internet connection or you can plug in an Ethernet cable, if that works better for you. The power of portability today, is extremely relevant, both in the technological and figurative sense. 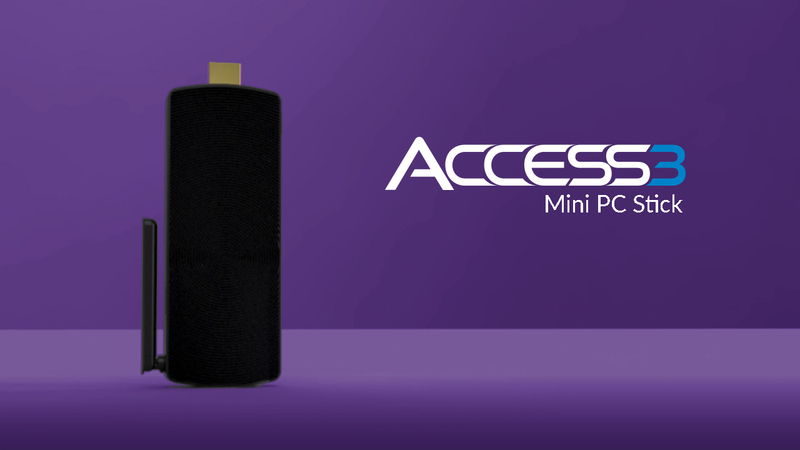 The Access3 is able to seamlessly provide consumers with a simple, elegant and powerful solution to computing on the go. It is, quite literally, your computing world in your pocket without the stress of burning a hole in it.